We’ve found great deals at 2151 hotels! 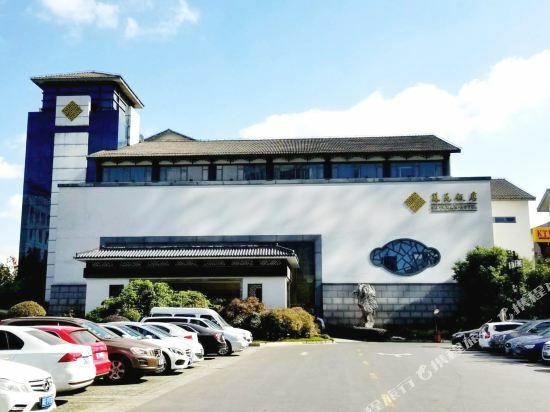 Located in the south of Suzhou, the Suyuan Hotel (Suyuan Fandian) enjoys a prime location, close to the Ninghu Expressway and Sujiahang Expressway. Buses around the corner bring guests to the Shilu Business Circle, the Suzhou Railway Station, as well as the North and South Bus Stations. The Taihu Lake scenic area as well as East and West Mountains are also within range of the hotel. This Suzhou hotel brings the traditional Chinese garden style into full play with various pavilions and terraces. Rooms are decorated in Chinese or Western styles, and all are equipped with broadband internet access. Guests can play at chess and cards rooms, sing their favorites in the KTV bar, relax at sauna and work out in the fitness room. The five-star Aster Hotel (Suzhou Yadu Dajiudian) is located in the old Suzhou town, in close proximity to the world heritage sites. All rooms come with E-mail access and electronic safes. Garden villas and executive floor enjoys serenity and privacy together with luxury amenities including LCD TVs and signature beds. To enjoy Chinese and Western food, there's a revolving restaurant, which serves up menu items along with fabulous city views. 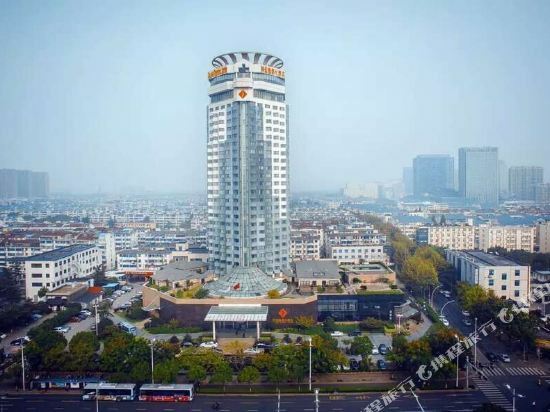 The New City Garden Hotel (Xincheng Huayuan Jiudian) is situated conveniently near the Huning Expressway exit and a number of top Suzhou attractions including Tiger Hill, Hanshan Temple and the Suzhou Amusement Park. This Suzhou hotel consists of the main villa and the affiliated villa, and features accommodations equipped with butler service, Inax bathroom items and rainforest showerheads. The Chinese restaurant on the second floor serves Suzhou and Huaiyang dishes, while the cafeteria is a good venue for diners to enjoy Chinese, Western and Japanese flavors. There are also over 20 private dining rooms. For business travelers, 12 conference rooms are suitable for organizing meetings, exhibitions or other events. During their spare time, guests may take a refreshing dip in the swimming pool, make full use of the fitness facilities or enjoy drinks with friends at the bar. 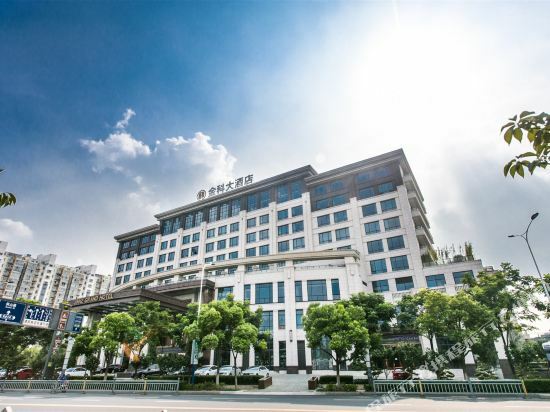 The Grand Metropark Hotel Suzhou (Suzhou Weijing Guoji Dajiudian) is conveniently located where Suzhou Industrial Park meets downtown Suzhou, just over 5 km (3 mi) from Guanqian Street. Wuxi airport is 30 km (18.5 mi) away, and Shanghai's two international airports, Hongqiao and Pudong are 75 km (46.5 mi) and 90 km (56 mi) away respectively. All rooms are spacious, command superb views of the neighboring lake and gardens and come equipped with LCD TVs, satellite TV channels, free broadband Internet access, air-conditioning, international and domestic direct-dial phones, mini bars, refrigerators and safes. There's no shortage of dining options with three restaurant outlets serving a range of western and Chinese cuisine, including Cantonese specialties and dim sum at Bauhinia and American, European and Asian favorites at SIPIS Café. A live band plays in the Park Lounge from Monday through Saturday. Guests also benefit from a wealth of business facilities including a commercial center and nine meeting rooms, plus a VIP interview room. Other facilities include an indoor swimming pool, fitness center and beauty salon. 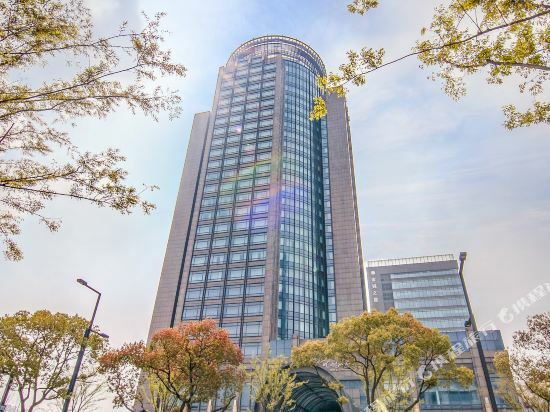 Located in the Historic Ancient Town area and adjacent to the Panmen Gate scenery spot, Pan Pacific Suzhou has easy access to a wide range of the city’s famous attractions. It makes convenient public transportation from the hotel with just 10 minutes’ walk to the Metro Line 4 Nan Men Station. The hotel holds exquisite features of scenic gardens, sculptured bridges, rushing water and towers to display the history and culture of this garden city in China. Each of the rooms and suites at the hotel offers you a refreshing garden view or the spectacular sight of the Panmen Scenery, even a view of famous Ruiguang Pagoda from some ones. All guestrooms feature high-speed Internet access and VPN connection, a work desk station and other conveniences for business and leisure travellers. The hotel has four restaurants and lounge. Garden Brasserie is an all-day-dining restaurant offering a wide variety of Asian and Western dish for buffets and a la carte. Hai Tien Lo Chinese restaurant features authentic Suzhou cuisine, well-known Cantonese cuisine and specialties from other parts in China. KEYAKI Japanese Cuisine serves authentic Japanese recipes inclusive of kaiseki set menu, sushi, teppanyaki and more, using fresh ingredients and seafood to guarantee the quality of your dining experience. Garden Lounge is an ideal place to relax and unwind with an expansive and premium beverage. Guests can experience the hotel’s state-of-the-art fitness centre outfitted with latest equipment, picturesque outdoor swimming pool and temperature-controlled indoor swimming pool to rejuvenate your soul, the well-known Singapore-based St. Gregory Spa, as well as the cultural experience programs, Children Playground and shuttle bus arrangement on weekends and public holidays. 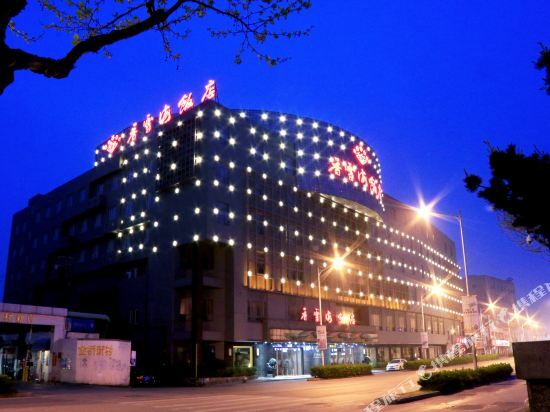 The Xiangxuehai Hotel (Xiangxuehai Fandian) is located near the popular attraction Tiger Hill (Huqiu). 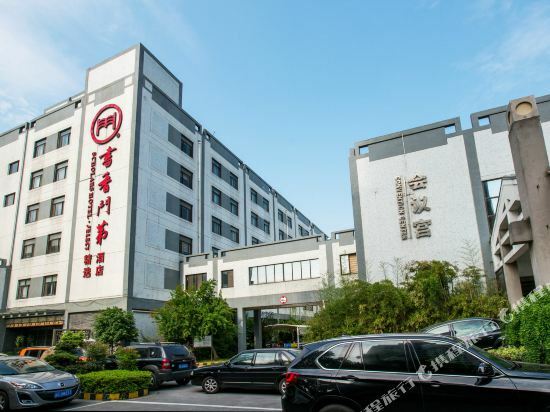 The hotel is 4 kilometers from the Suzhou Railway Station and long distance bus station and 2 kilometers from the city center. It takes one hour to get to Shanghai by train or by bus. Various rooms are equipped with broadband internet access and mini-bars. Two Chinese restaurants specialize in Huaiyang cuisine and local dishes. Another high-scale restaurant serves expensive fare including abalones and shark's fin soup. The commercial centre covers a range of business service such as fax, typing and travel services. In Suzhou, the beauty of classical gardens and landscapes is combined in one. The city has a long history and its beauty has inspired many ancient poems and other forms of literature. In China, Suzhou is known as the “City of Heaven.” It is surrounded by numerous ancient towns with old buildings and water towns with crisscrossing canals and bridges, creating spectacular scenery that is typical in the Jiangnan area of Southern China. Suzhou is filled with attractions that are worth visiting, such as the Humble Administrator's Garden, the Suzhou Museum, and much more. Suzhou consists of 7 municipal districts and 5 county-level cities. The main popular attractions are located in the old city district and the Pingjiang District. The center of the old city is home to most of Suzhou's classical gardens and is a must-see destination for visitors. Pingjiang Road, Suzhou Museum and other attractions are located in Pingjiang District. The bustling Jinji Lake Scenic Area in the eastern part of the city integrates entertainment, dining and sightseeing. There are a lot of cultural heritage and historic sites in suburban areas of Suzhou’s neighboring Gusu city, such as the Top Place of Interest in Wuzhong, Tiger Hill, and Fengqiao Hanshan Temple. The surrounding ancient towns also make Suzhou a popular attraction. The towns of Zhouzhuang, Tongli and Luzhi are all known as Jiangnan water villages and each have their own unique characteristics. Visitors to Suzhou generally choose to spend three to four days in the city; one day can be spent at the Humble Administrator's Garden, another day can be spent visiting the Feng Bridge or Panshan Scenic Area, and another can be spent visiting the surrounding ancient towns. Suzhou administers Wuzhong District (a large area that includes Lake Tai in the west and industrial parks in the east), Xiangcheng District, Gusu District, Huqiu District, Wujiang District, and four county-level cities, Changshu, Taicang, Kunshan and Zhangjiagang. Most of Suzhou’s historical attractions, especially the classical gardens, are scattered throughout the old city area. In the northern part of the ancient city (formerly known as the Pingjiang District), well-known attractions such as Pingjiang Road Historic District, Humble Administrator's Garden, Lion Grove Garden, Suzhou Museum, and Beita Bao’en Temple are located. The center of the old city is the lively Guanqian Street area, which is a must visit for tourists visiting Suzhou. The southern area (the former Canglang District) has the famous Shiquan Street and Panmen Scenic Area. Shiquan Street is a food street. There are also attractions such as Master of the Nets Garden and Canglang Pavilion. Outside the old city is the Lingering Garden, one of China's top four famous gardens. Tiger Hill is about 3.6 kilometers away from the Suzhou Railway Station. It has historical attractions such as the Tiger Hill Pagoda, which is known as the "Oriental Leaning Tower of Pisa." The Suzhou Amusement Park, a park full of modern rides and entertainment facilities, is located in the foothills of the Shishan Mountain in Huqiu District. The eastern part of the city is a bustling industrial park. The Jinji Lake Scenic Spot has now developed into an attraction integrating leisure, entertainment and food, making it frequented by young people. You can always find hotels in Suzhou near your preferred attractions. Suzhou has a subtropical monsoon climate with a mild and humid weather, four distinct seasons, and an average annual temperature of 17°C making it suitable for traveling all year round. The best periods for travel is March-May (spring) and September-October (autumn). In the spring, Suzhou is known for its beautiful flowers, and in the autumn, it’s known for its maple leaves. Those who visit in the spring can also go to the Taihu Islands to taste fresh peaches. From June to August in the summer, the temperature is about 29-33°C. Rain is also quite abundant during the summer, which can make it a bit inconvenient to travel, but the unexpected rain can also refresh the greenery in the classical gardens, and give visitors the chance to enjoy seasonal foods, such as sugar lotus and biluochun green tea. There are also some very hot days in the summer, and relatively speaking, August is not suitable for visiting Suzhou because of the oppressive heat. The months from September to November are also good for traveling to Suzhou. During these months, the average temperature is 18°C and the weather is cool. During these months, visitors can enjoy Dongshan red oranges, Yangcheng Lake hairy crabs, the red maple leaves on Tianping Mountain, and the chrysanthemum exhibition at the Humble Administrator's Garden. In the winter, from December to February, temperatures are around -10-8°C, and there are fewer people traveling during this time. In addition, from late January through February, plum blossoms bloom everywhere and winter flower festivals are held. Suzhou hotel information & deal: Check out room rates, photos, a map and reviews of hotels in Suzhou and find the best deals on Suzhou hotels. Trip.com offers big savings on online reservations for Suzhou accommodation. Book Suzhou vacation packages and Suzhou tours with huge discounts on Trip.com!